Illuminate your interior with the Moon Table Lamp by Signorini & Coco. Part of the lighting collection by Daytona, this sophisticated table lamp is hand-crafted by skilled artisans in the heart of Tuscany. Italian heritage and master craftsmanship are synonymous with this luxury brand and this table lamp is no exception. 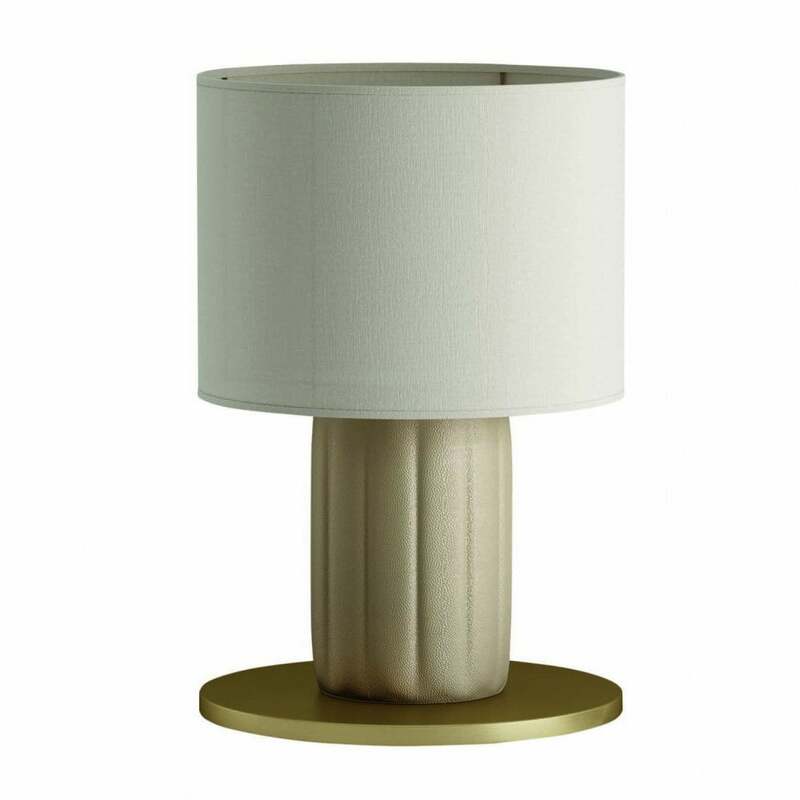 Featuring a circular base finished in burnished brass and grosgrain design leather, the padded fabric creates a soft texture to this bold lamp. Style as a pair on a console table or on its own. A beautiful neutral shade completes the look exuding art deco elegance. Shade is available in a choice of fabric finishes – make an enquiry for more information.